3/01/2019 · This video is how to make felt bows using a simple piece of felt. I was able to make this DIY felt bow easy in just 2 minutes! It just takes one piece of 9 x 12 felt and some scissors and a... Beautiful Christmas bows are the perfect touch to any present. 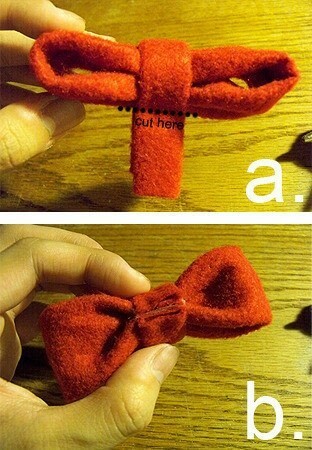 Learn how to make Christmas bows from felt with this easy Christmas bow tutorial. Make Hair Bows Felt Hair Bows Felt Hair Clips Fabric Hair Bows Felt Flower Headbands Felt Flower Wreaths Felt Headband Felt Wreath Felt Bow Tutorial Forward felt bow free pattern and tutorial - overlap by putting two against each other instead of one. how to read davidson medicine Make Hair Bows Felt Hair Bows Felt Hair Clips Fabric Hair Bows Felt Flower Headbands Felt Flower Wreaths Felt Headband Felt Wreath Felt Bow Tutorial Forward felt bow free pattern and tutorial - overlap by putting two against each other instead of one. Congratulations, you're having a baby girl! Or if you're like me you already have a sassy little princess who wants ALL the hair accessories. With this DIY tutorial, you'll learn how to make super adorable Felt Hair Bows that can be attached to nylon headbands or hair clips. how to make a bump in thin hair These bows are quick and simple to make and adding a little alligator clip on back (or adding it to a headband) will make it a perfect gift option for a baby shower or to add to your little girls (or your) hair! First.. You need felt, fabric glue (Mighty Bond / glue gun, whichever! ), a pair of scissors, a pin.. and hair elastic bands. For this, I recycled my "used" ones so I won't feel bad for using the new ones. Make Hair Bows Felt Hair Bows Felt Hair Clips Fabric Hair Bows Felt Flower Headbands Felt Flower Wreaths Felt Headband Felt Wreath Felt Bow Tutorial Forward felt bow free pattern and tutorial - overlap by putting two against each other instead of one. Enjoy your new felt bows! Felt comes in a variety of colors, so you can have one in every color! Felt comes in a variety of colors, so you can have one in every color! 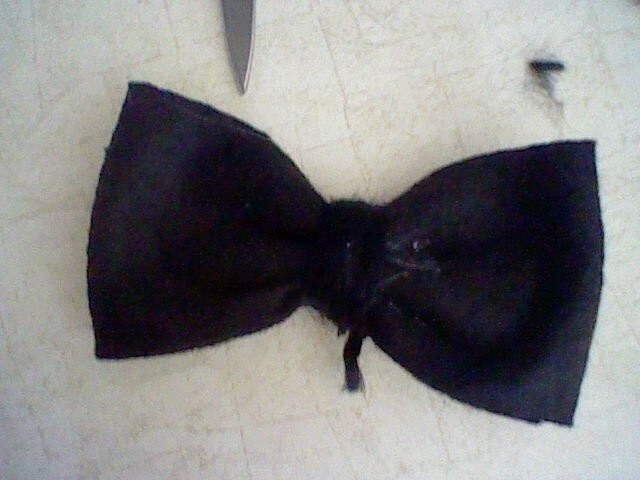 Another fun way to dress them up, is to sew or glue a ruffle on the back of the bow.